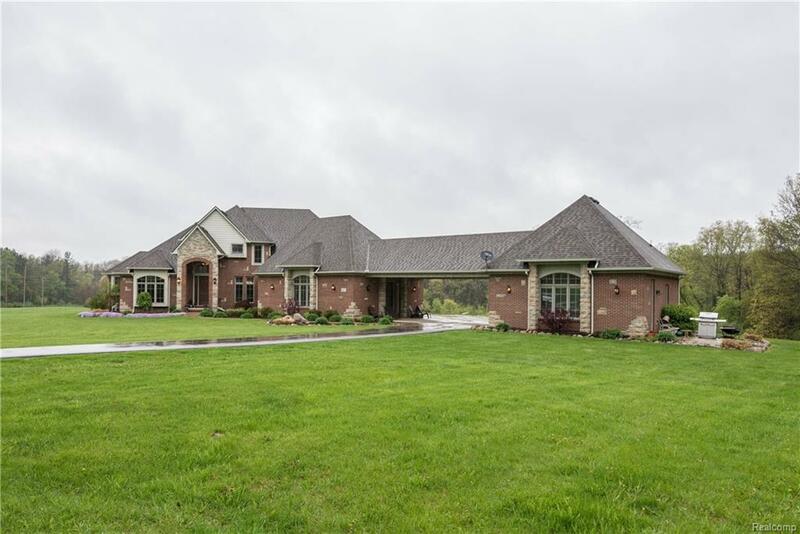 Custom Rural Estate on 35 Acres. ?Get away from it all? private and serene property on a prime wooded location only 15 minutes from sought after Historical Howell. 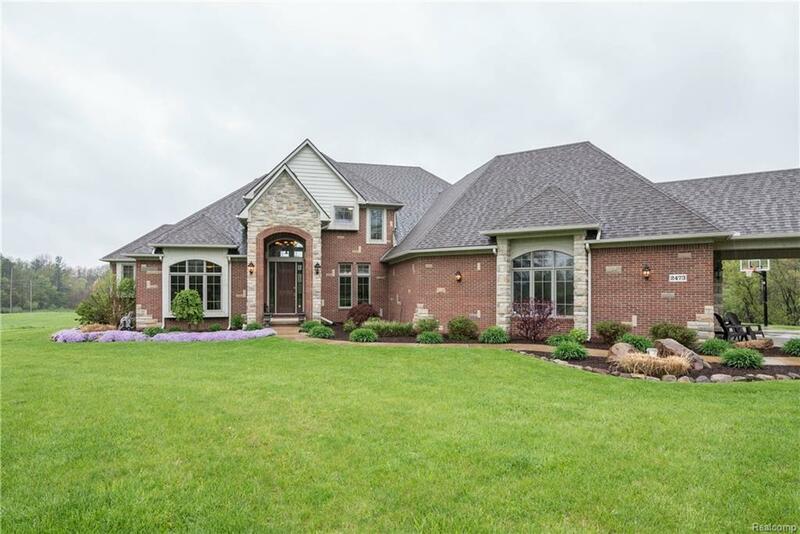 This custom home took 2 years to built and included immense attention to details with a 5 bedroom 4.5 bath main house along with 1 bedroom fully equipped Guest House. No detail missed from best quality materials and fixture to high ceilings and Brazilian cherry floors. Grand great room with pass-through fireplace to gourmet island kitchen and large butler?s serving area perfect for your entertaining needs. Recess to the finished walkout with full wet bar and access to the in-ground pool. 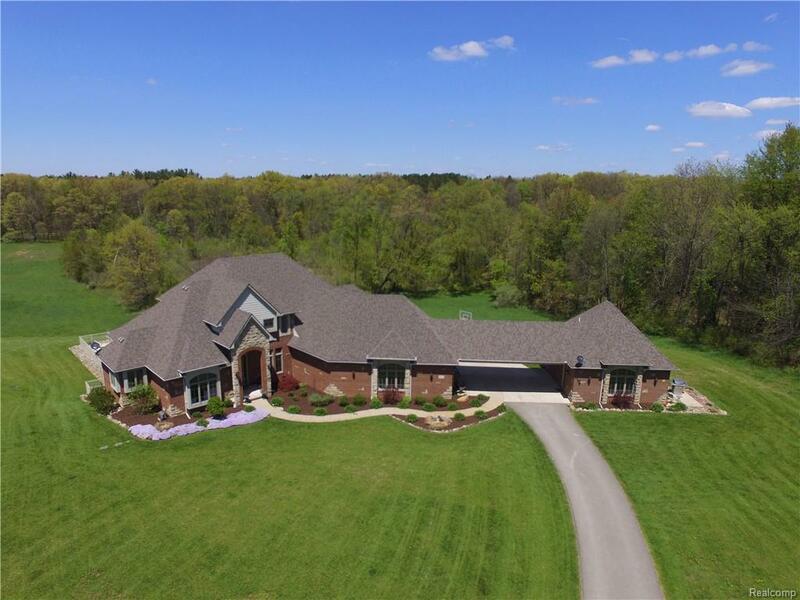 Step out to abundant wildlife and enjoy exploring the outdoors, woods, hunting, swimming and having a yard big enough for football and baseball games! Supreme hunting with direct access to adjacent Oak Grove State Game Area. The 5-car garage will store the toys. Immediate private viewings available for qualified buyers. See VIRTUAL TOUR! Listing provided courtesy of Remerica United Realty-Brighton. © 2019 Ann Arbor Area Association of Realtors Multiple Listing Service. All rights reserved. IDX information is provided exclusively for consumers' personal, non-commercial use and may not be used for any purpose other than to identify prospective properties consumers may be interested in purchasing. Information is deemed reliable but is not guaranteed accurate by the MLS or The Toth Team - Keller Williams Ann Arbor Market Center. Data last updated: 2019-04-22T10:14:04.437.